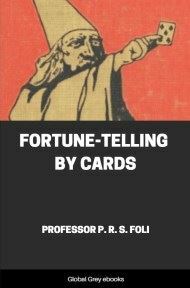 This is a short book on telling fortunes, primarily with a standard deck of playing cards. 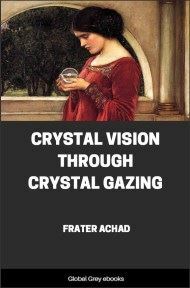 There is a short two-chapter section at the end about the Tarot. 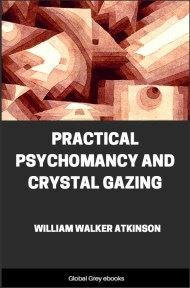 Described are several different spreads, including the 32-card method, the French and Italian methods, the Grand Star, and Etteilla's Tarot spread. WHEN we take up an ordinary pack of cards to deal them out for a rubber, or to lay them down in the careful deliberation of Patience, or when we watch them being used as the inexplicable instruments of a something that, with a feeling akin to superstitious dread, we prefer to call coincidence, we do not often stop to think of the varied and eventful history represented by those smooth, highly-glazed playthings. The actual and authentic history of playing cards only goes back about five hundred years, and various theories have been mooted as to the source from which Europe obtained them. 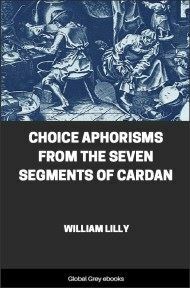 It is an established fact that in past ages many eastern peoples, notably those of India, China, and Chaldea, possessed cards which differed materially both in use and design from those known in the West at a later date. It is impossible to trace these prehistoric beginnings of card-lore, but there seems little doubt that the Wise Men of eastern lands regarded their cards with none of the contempt usually bestowed upon them in the West. They held them in high esteem as mediums for the partial revelation of the Unknowable, and included them as a part of their mystic lore. It is thought by many that we owe our cards to the gipsies, who are supposed to have been the offspring of a low caste of Hindus, and who, driven from their own land, found their way, as fugitives, through Western Asia into Egypt, and from Northern Africa into Europe. 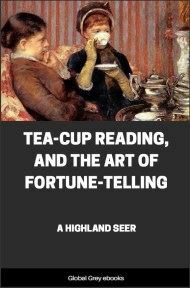 It is certain that all kinds of fortune-telling, whether by Cartomancy or whatever method, are inseparably connected with that curious, fascinating, highly gifted and elusive people. They excelled in music and ail mechanical pursuits; they could learn a language, or distinguish themselves in metal work, with equal ease; but they had to live more or less on the defensive, as very children of Ishmael, and years of persecution only deepened their craftiness, sharpened their intuition, and rendered them more keen to assert their mysterious power over those who oppressed and yet inwardly feared them. These Romany folk have preserved intact the ancient lore of the East, while incredulous Europe has turned the sacred pages of divination from the book of fate into mere instruments of amusement, and a vehicle for winning or losing money. 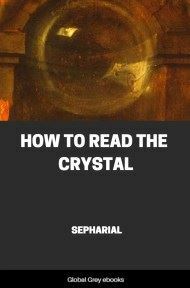 The gipsy remains a past master in the art of Cartomancy, and though we may scoff, there are very few amongst us who do not feel a sense of disquietude when brought face to face with an instance of her uncanny power. We can afford to laugh when the sun of our lives is shining brightly and all is well in mind and body, but there come dark days in the lives of all, and then some are impelled to seek the aid of these weird sons and daughters of an unknown land. By many, perhaps by the majority, this inexplicable gift has been vulgarised and debased to a mere means of extorting money from the ignorant and the credulous; but by some it is still held as a sacred faith—possibly no more superstitious than some forms of unenlightened or perverted Christianity. Were They Made in Europe? Another theory separates the cards of the West entirely from those of the East, and holds that the western were originally made in Europe. This is as it may be. A writer of the latter part of the fifteenth century says that cards were first known at Viterbo in 1379, and that they had been introduced by the Saracens, who, with the Arabs and Moors, have the credit of planting the seeds of Cartomancy in Spain. It is certain that at first cards were called by the name naibi; and the Hebrew and Arabic words, Nabi, naba, nabaa, signify "to foretell." It is also widely believed that the idea of playing games with cards was an after-thought, and that their original purpose was for the practice of divination. The earliest cards were the Tarots, of which we speak in another chapter, and it is supposed that some one had the bright idea of adding the numeral to the symbolical cards, so as to play games with them. This addition was made about the middle of the fourteenth century, and at the beginning of the fifteenth century there was a pack in Venice composed of seventy-eight cards, twenty-two symbols and fifty-six numerals; with four coat (court) cards, king, queen, chevalier, and valet, and ten point or pip cards to each suit. The fifty-six numerals were subsequently reduced to the present number, fifty-two, by the rejection of one of the picture cards. The Spaniards discourteously abolished the queens, but the French, true to their reputation, kept the dame and rejected the chevalier. The early German packs were the same as the French, but the queens again were cast out in favour of a superior knave called the Obermann. England accepted the Spanish or French pack as she found it. There have always been four suits, but there have been many changes in the signs used to mark them. The original quartette were:—Cups, supposed to be emblematical of Faith; Money, representing Charity; Swords, figuring Justice; and Clubs, typical of Fortitude. These signs are still retained in the Tarots, and in Italian and Spanish cards. Old German packs have bells, hearts, leaves, and acorns; and during the fifteenth century the French adopted spades (pique), hearts, clubs (trèfle), and diamonds.